Now, you may not have been in line at midnight, but it has officially been enough time for you to get your eager hands on the iPhone 5 and upgrade to the iOS6 software. Everyone had their Immediate Reactions, but I’m here to dive a little deeper than initial likes and dislikes. The standout features were maps, siri enhancements, and passbook, but even after all these improvements, some people were not impressed. While these are all features you should have heard of, every upgrade always contains some hidden features, that make your iphone or iPod Touch just a little bit cooler. A features that I was pretty excited about when I found it, is the ability to set any song in your music library as an alarm. Before this you had to go through a whole process of creating ringtones on garageband, transferring them into your iTunes, and dragging them onto your phone. Some people even went to the length of shelling out money to buy ringtones. I find this new trick super useful as it gets repetitive to wake up to the same alarm each day, or even worse, to use the presets that are included in the phone. You can now wake up to any song of your choice. If this isn’t creative enough for you, you can make a original recording and wake up to that each day. Now, I know in #electionclass we have been having problems with spambots, and it seems that this problem has transferred over to the phones of many iphone users as well. I don’t yet have a solution for the members of #electionclass, but the iOS6 software defeats this problem. With the new update you have the option to deny notifications when receiving messages from an unknown source, so the spambots won’t get to bother you anymore. Hidden somewhere deep inside you digital music collection is now the ability to “complete your album” right from your music library. 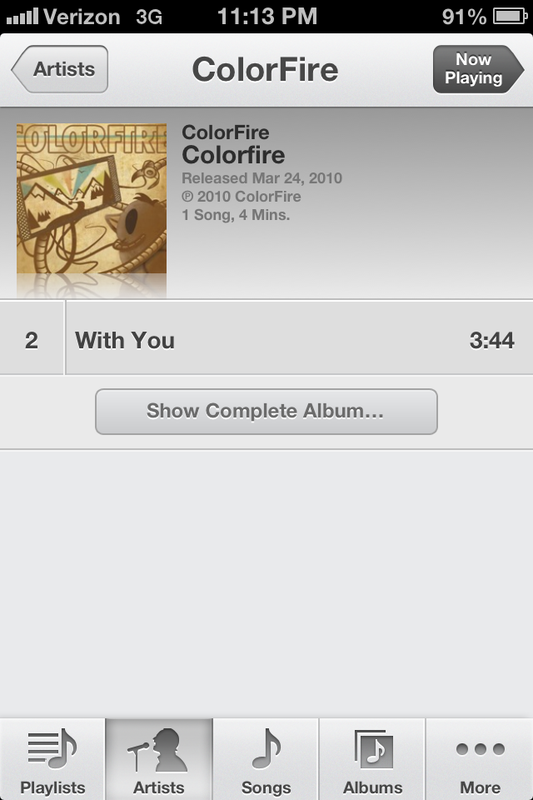 If you only have one song in an album, but are interested in buying more songs, you can do this without even having to go into the itunes music store app. 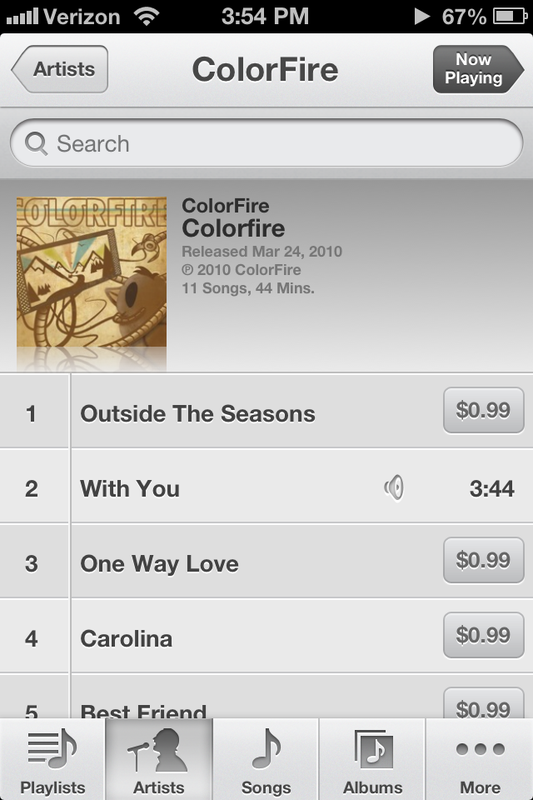 You can hit the show complete album, and all the songs pop up with direct links to purchase them. It seems like this makes it easier to get caught up in buying songs, so remember that even though it is so quick and easy, the cost can add up rather fast too. Late night listening is now available to those who have the latest and greatest technology. Technically, this option lowers bass levels and attempts to make your music less-intrusive in the evening so you can listen and fall asleep easily without being distracted. This new features allows your favorite artists to sing you to sleep. 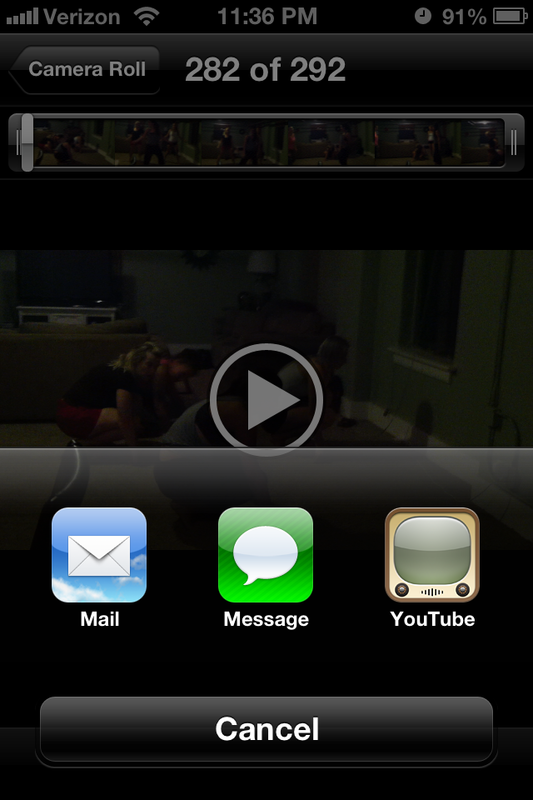 Now that I have shared how I uncovered five of the hidden features in iOS6, tell me if you found any more. Leave them in the comments below! 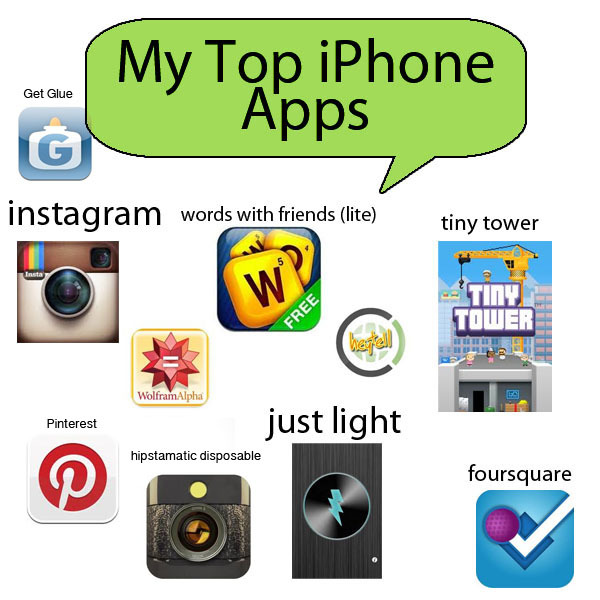 What was once the quirky iPhone app is now being developed into real life technology. I’m talking about Instagram. The app that is makes it easy for you to take professional (and a little hipster) looking photos for free at the touch of your iPhone button. But I’ll forgive if you READ UP. and then continue here. Since the launch of Instagram, it has skyrocketed in popularity. “It [has gone] from zero to forty million users, in a mere 1,5 years time,“ and only continues to reach a larger audience. The growth has been so explosive that developers have decided to take it off the little screen and into real life. While we can all sit and snicker at the idea of Instagram Snap, an Italian designer Antonio De Rosa thinks this is no laughing matter. He sees real potential in this technology and is in the process of creating a “real life Instagram” called Socialmatic. The large version of the app allows you to take filtered photos, share them immediately with friends, and then hit the print button for a physical version of the image. 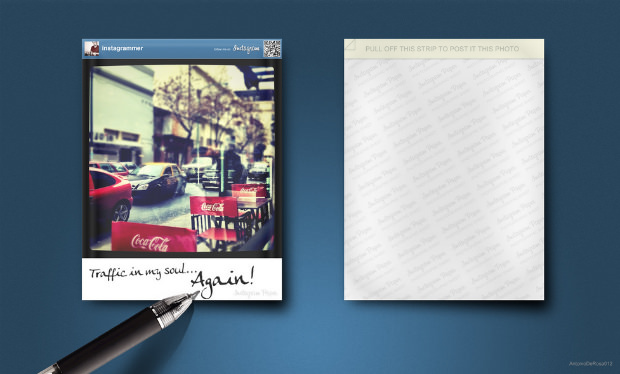 Your image prints out with a QR code, so anyone who receives it can scan and follow you on Instagram. 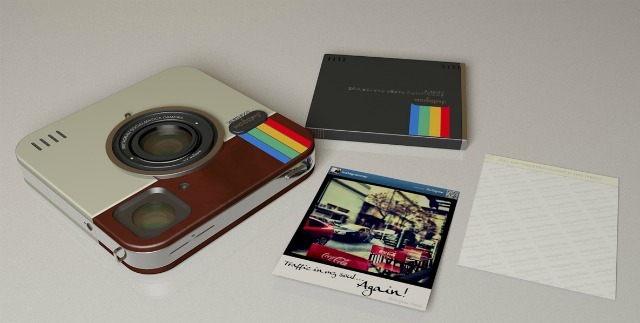 Some say it is an all-too-obvious cross between a Polaroid and an iPhone 4, but is that combination ridiculous or genius? De Rosa, What Were You Thinking? De Rosa has started a campaign on Indiegogo to raise $50,000 for the Socialmatic. If he reaches his goal, his idea will be put into action. The campaign runs until Sunday, June 1st. You can contribute on Indiegogo if you have faith in his creation. If the goal is reached, De Rosa is promising a “massive discount” for whoever previously contributed. If the funds are not sufficient to bring Instagram to life, everyone who donated will be fully refunded. But other’s think it’s completely unnecessary. Do you think Instagram should make the jump from the small screen to the real world? So I actually heard this news story first from my grandparents. 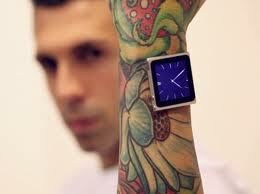 A guy named Dave Hurban implanted magnets in his wrist himself so he could wear his iPod nano without a wristband. Now, although cool, I’m not sure if this is worth it just to avoid buying a wristband. I see a few flaws with this plan. One other slightly important issue is that Apple comes out with new versions of the iPod every couple of years. What happens when his iPod becomes the new mini. Old and Outdated is not something you want ingrained into your arm. Now this is just me… What do you think of this idea? Will you be running to your nearest tattoo parlor to be next in line for this procedure, or will you skip out on this one? 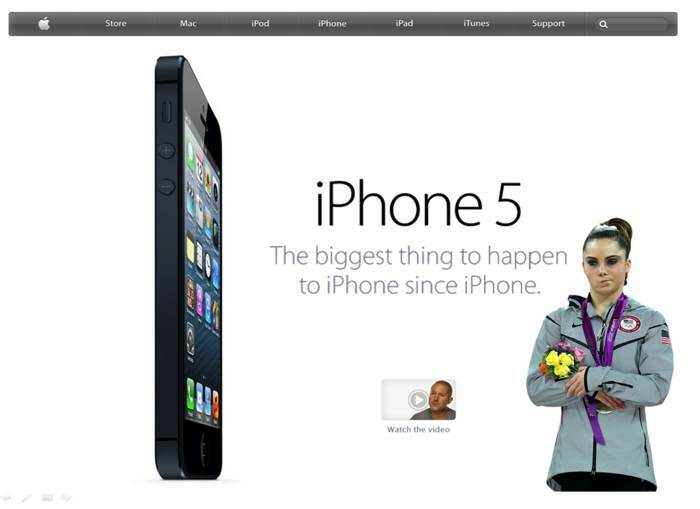 So an observation I recently made is that Apple ( and specifically the iPhones) are taking over the world. When I was at school it was uncanny how many kids had iPhones. Now to separate yourself from the standard iPhone owner, I thought I would share some suggestions on some cool things I found online that would swag-out your iPhone. Now ironically I only have a simple pink case on my phone, but if I had discovered this hobby of mine about 6 months ago (and didn’t already blow 25$ on said case) this situation would be different. Now the top site that has been a time sucker is called society6. This morning my sister thought she was so cool for finding this site and sent it to me… little does she know that’s where half my year went. I mean come on thats pretty creative.. If I was a math major/ little monster I would be on that. And this little nifty gadget is called a Square. If you have one of these, your friends will never have an excuse not to pay you back if they don’t have cash on them. You can swipe their credit card instantly from your iPhone. Now some people don’t feel comfortable with this technique, but for some reason I feel it’s secure enough and I don’t have a problem with using it. So what do you think about this Apple iPhone swag? Do you have any different potential swag of your own?